Physical therapy may be indicated prior to surgery to maximize joint motion and overall strength and endurance that will assist you in a speedy recovery. Post-operatively, patients will be seen by a therapist as soon as it is prescribed by the physician. This is in order to minimize the adverse effects of surgery such as pain, swelling, and to restore normal movement, flexibility, and function. This is a surgery in which the worn surfaces of the joint are removed and replaced with a new metal surface. Rehab starts within a few hours after surgery and continues for 3 months or longer. Patients will learn how to use their new joint and return to normal activities. Often abbreviated as ORIF, this is a method of surgically repairing a fractured bone. 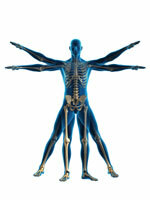 Generally this involves either the use of plates and screws or an intramedullary rod to stabilize the bone. This is a surgical procedure to correct damaged or torn tendons. Most common examples would be Rotator Cuff Repair and Anterior Cruciate Ligament reconstruction. This is a procedure in which a portion of the disc that rests between each vertebra is removed. This procedure is used to relieve pressure on a nerve by removing a portion of bone and other tissue that may be compressing it as it exits the spinal column. This procedure is performed to relieve pressure on the spinal cord itself. It is most commonly used to treat conditions such as spinal stenosis and spondylolisthesis. This procedure is done to eliminate motion between two adjacent vertebra. It is usually performed to treat an unstable spine (spondylolisthesis). A surgery in which the two bones on each end of the joint are fused – secondary to the joint being eroded, destroyed by trauma, or severe arthritic changes. This will eliminate joint motion thus reducing pain. Contact the Physical Therapists at Prehab - we create personalized pre and post-operative physical therapy programs to fit our patients specific needs. We want you to get back to feeling your best!